Although our natural habitat is hunched over a computer keyboard late at night, this month we decided to make the most of the (very short) British summer, by getting out into nature and roughing it... in the most civilised way possible. Yes, we've been camping, and a damn good time we've had of it too. Read on, and get our impressions of all the awesome kit we took with us. Although we took a couple of tents for us to test, this effort from Coleman was the one we were most interested in. The Cortes Octagon 8 was recently voted Camping Magazine's Tent of the Year 2015, so we were keen to see why. Undoubtedly this is a unique creation, and Coleman are marketing it as a 'glamping' tent through-and-through. Despite the fancy looks and interesting construction, the Cortes Octagon 8 will sleep eight people... at a push. Unlike most modern dome or tunnel tents, which utilise flexible poles threaded through the outer layers of fabric, the Cortes Octagon 8 features a more traditional construction of rigid poles that create a octagonal shape. The poles themselves are still collapsible, and thanks to the plastic junction ports being pre-attached to the inner layer (and all colour-coded), erecting this thing was remarkably easy. There is no awkward threading of bendy poles, nor any stretching of fabric. The poles go up and pull the inner layer of material up with them. It is as simple as that. What makes this a great glamping tent is that six of the eight sides open up completely, allowing lots of air and light into the tent (as well as the view). The two remaining sides both feature a doorway, with one of those utilising a flexible pole to create a rigid opening/closing door. Like, an actual door that swings open. Brilliant. However, despite it being fantastic for couples enjoying a romantic weekend at a festival or event (with their huge king-size inflatable mattress dominating the interior) with a family in tow in found it quite limiting. As there is just the one internal space we found it was difficult to organise things and keep everything clean. Most other tents of this size and price will boast separate sleeping and living areas, but the Cortes Octagon 8 is all bedroom. Yes, it does include an optional dividing partition, but we found that to reduce the space a bit too much. However, thanks to the mostly mesh construction we found that (unlike the following tent) each night we slept in it was completely condensation free. No wet walls to drip down and soak your sleeping bag in the morning – a big bonus when camping with the family. 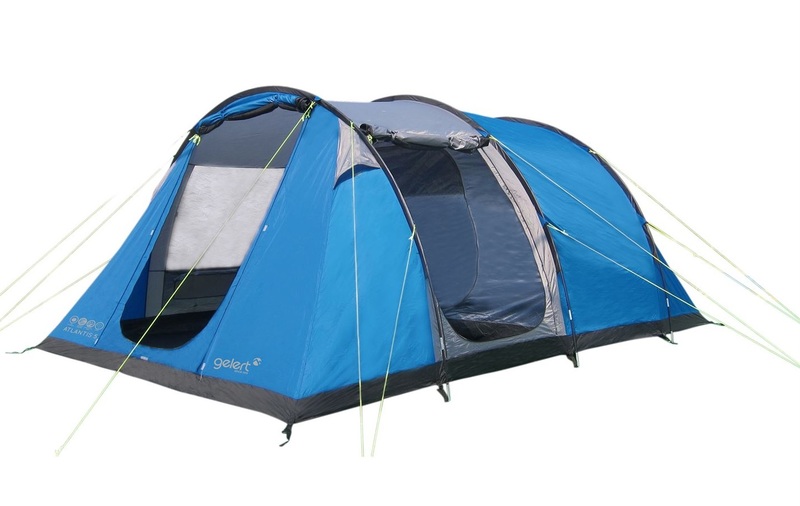 The other tent we took with us was the more modern looking Atlantis 5 from Gelert. An extremely simple design, the Atlantis 5 utilises just three long collapsible poles which thread through the all-in-one fabric body in the same direction, making it an even quicker erection (tee hee) than the Coleman. As the name suggests, this tent can comfortably accommodate five people and features a separate sleeping area (which itself can be subdivided once more). The other half of the tent is given over to a spacious living area which boasts two doors and one transparent window-like panel. Also, both doors feature a zippable mosquito net, and the sleeping area has a mesh air vent. Next to the Coleman the Gelert couldn't look more different. It might not appear as fancy, and certainly didn't get as many impressed looks from passing campers (which is something you might want, if you're camping in a very... 'open minded' camp site) but it did the job with aplomb. Compared to the Coleman, the Gelert provided a slightly warmer night, due no doubt to the smaller sleeping compartment. It was also easier to manage and to arrange all our camping essentials, as well as providing night time shelter to things like the gas grill (reviewed later) in the living area. We didn't feel as if we could move items like that into the Cortes Octagon, as then we'd be sleeping right next to them. 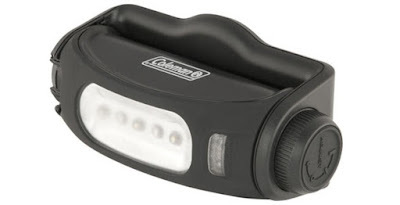 One slight downside to the Gelert Atlantis 5 was the exact opposite issue than with the Coleman: condensation. Every morning we awoke with a heavy collection of dew drops above our heads, and as the sides of the Atlantis 5 slope downwards, the water had nowhere to go but onto us. We couldn't say we were drenched, but the occasional light sprinkling was enough to cause serious annoyance. Also, the Atlantis 5 only comes in one colour, a very dark shade of blue. This made it quite gloomy on the inside, even during bright sunshine – a time when the Coleman, with its light orange and grey, really came into its own. So although a couple of negative points at the end, it was still the warmer of the two, and the quickest to erect (tee hee – sorry), making it a far better choice for camping in the cooler months. 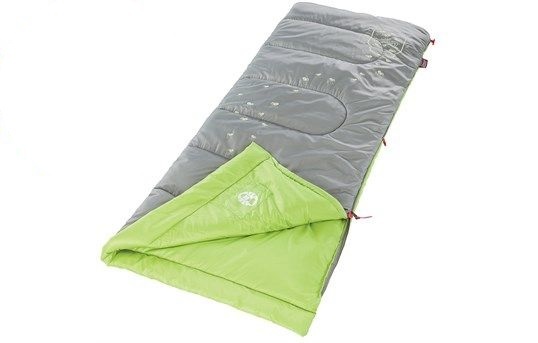 A decent sleeping bag can make all the difference when out camping, especially when temperatures start to plummet. Fortunately for us we were sent this excellent offering from Karrimor, which both kept us toasty, and took up only a tiny bit of space in the boot of the car. 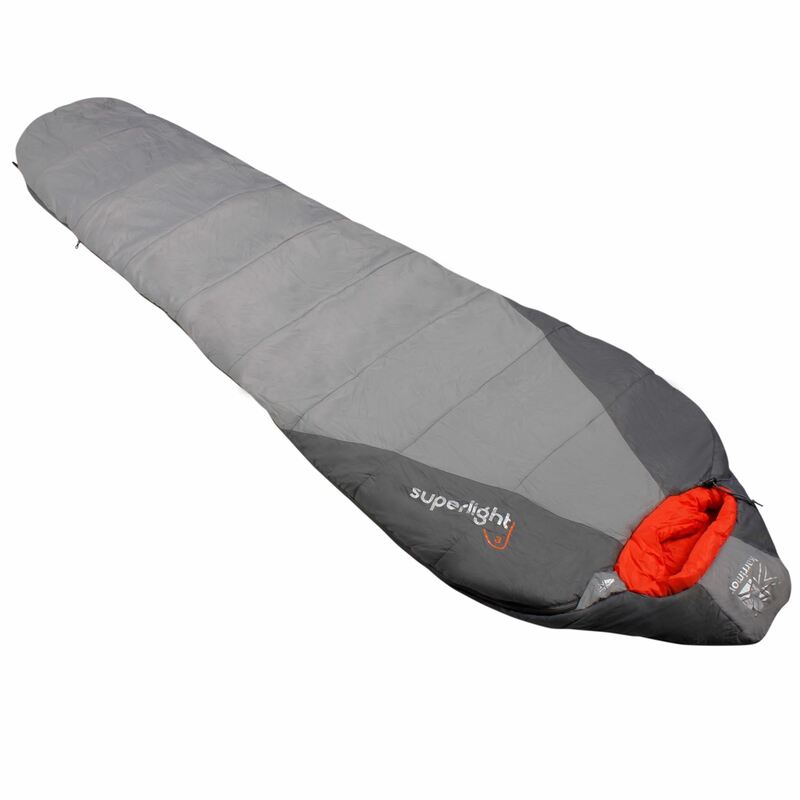 The Superlight 3 is a mummy-style sleeping bag that will see you safe and snug all the way down to -4 degrees Celsius. The bag features a half zip, a hood with tightening pull-cord, and a very handy compression stuff sack to pack it up nice and tight. We can't tell you how handy the hood on this thing is, as on the first night of camping, when temperatures were at their lowest, wrapping it around our heads was akin to suddenly switching on the heating back at home. The outer nylon layer is also rip-proof, while the inner lining is a very soft and cosy polyester. A snugly night was had by all who tried it. As the Karrimor sleeping bag was a tad too big for the wee ones in the camping party, we gave this fun effort from Coleman a whirl. The Glow-in-the-Dark Sleeping Bag does exactly what it says on the tin, by being decorated with gently glowing images of fireflies. Although a perfect size for a child (ours was tested by a very enthusiastic two year old) the bag has nowhere near the insulating properties of the Karrimor Suplerlight 3. There is no hood and the lower limit tolerance isn't as good. Because of that we used an additional fleece liner to make the sleeping bag a bit better on the coldest of nights, which wasn't much of a bother at all. On the plus side it features a zip plough to reduce material snag (brilliant for little fingers), and a stuff sack with a shoulder strap to let the pint-sized person lug it about and get a real sense of ownership. In future this will serve as a great sleepover sleeping bag and for when we're back out camping during the hottest of months. Sleeping on the cold ground is no fun at all, no matter how thick your sleeping bag is. 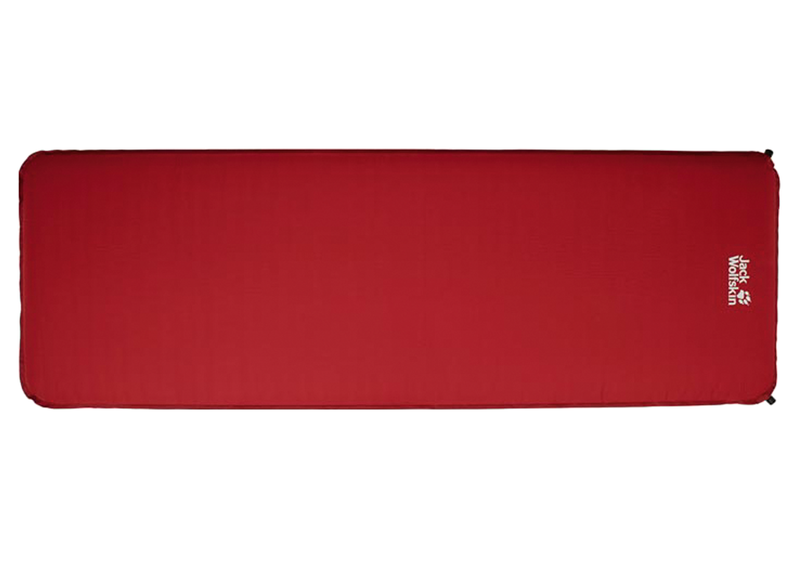 Fortunately the guys at Jack Wolkskin suggested we tried one of their luxury self-inflating sleeping mats, and hot-damn did it do the trick. 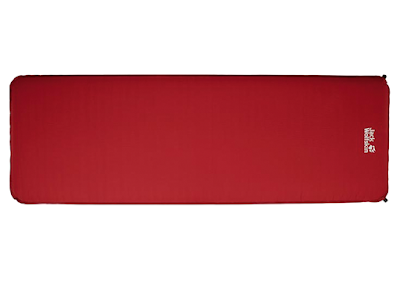 This single-sleeper mat features two twist valves which, once opened, allow air to slowly creep into the inside, steadily inflating the foam interior. After just a few minutes you twist the valves once more to lock in the air, and you have a seeping mat that is up to seven centimetres thick. Compared to the relatively cheap air beds we also took, the Wolfmat was incredible. It does not require a pump (so storage saved there), and with the air fully squeezed from it, it rolls up tight into its own sack. In terms of comfort, it was thick, firm (unlike an air bed), and didn't take up masses of unnecessary space in the tent. Yes, this thing is a hell of a lot more expensive than a regular air bed, but the quality of build, combined with the lack of air pressure, means it will last you for many years of camping to come. There's not much fun to be had on an empty stomach, nor on one filled only by cold and stale Subway sandwiches. 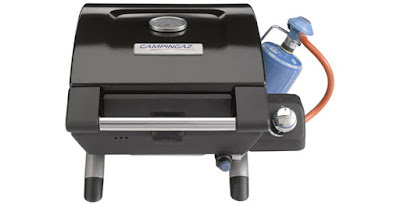 That is why a decent gas stove was top of our camping list, and we found a cracking one from Campingaz, the Compact Series 1 Gas Grill. This portable grill feature a carry handle, a closable lid, and runs off the smaller Campingaz butane gas bottles which are pretty cheap to buy. The set-up of this thing was very easy, with only a couple of screws to insert and few of the ignition wires to connect up. It also includes a AA battery to start the igniter, meaning you can get going straight out of the box, so long as you have a gas bottle. One such bottle lasted us for a combined time of about three hours; cooking our evening meal, toasting a few marshmallows, then helping to brew up some coffee the next morning. Fortunately the gas for this will set you back about £8 a bottle, so no worries there. In use we found the Campingaz Compact Series 1 to be rather excellent at producing an intense heat for a prolonged period. Being able to close the lid certainly helped to maintain that temperature, and the top-side thermometer was a big advantage. It also features a removable drip tray to get rid of your breakfast bacon fat, as well as a handy gas bottle clip, meaning you always have easy access to you gas supply. Pretty awesome for home use as well. Life wouldn't be worth living without a coffee to enjoy first thing in the morning, and camping should be no exception. If you're wondering how we brewed a cup of Joe while roughing it, we used the Cafflano which we reviewed previously here. 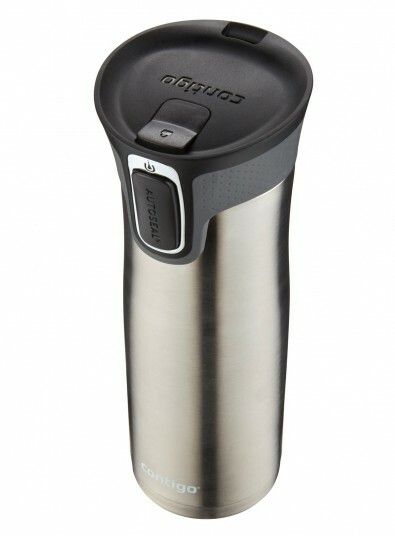 But once the coffee was ready it went straight into the Contigo West Loop Travel Mug V2. Not only did the Contigo help to keep our morning fuel nice and warm for a great deal of time (up to four hours), it also prevented any from spilling. The mug uses a unique anti-drip system whereby you have to press the large side-mounted button to open the spout, ensuring nothing gets out when it shouldn't. To keep things as safe a possible, it also features a locking system which, when engaged, makes it impossible to push the main button. And if you think that sounds awfully complicated and messy to clean, the whole closing system can be ejected forward from the lid for ease of scrubbing. We went for the rather snazzy looking silver, but the Contigo West Loop Travel Mug V2 comes in a whole range of metallic colours, so you'll be sure to find one that suits you. And contrary to what you might believe, we do also like to drink something other than coffee here at The Test Pit. Drinking enough water each day is essential to staying healthy and happy, but since discovering that filtered water makes for far better tasting and looking coffee, we've developed quite a taste for it thanks to our Brita water filter. Fortunately we didn't have to 'lug the jug' away with us while camping, as we were sent the portable Brita Fill & Go to test. 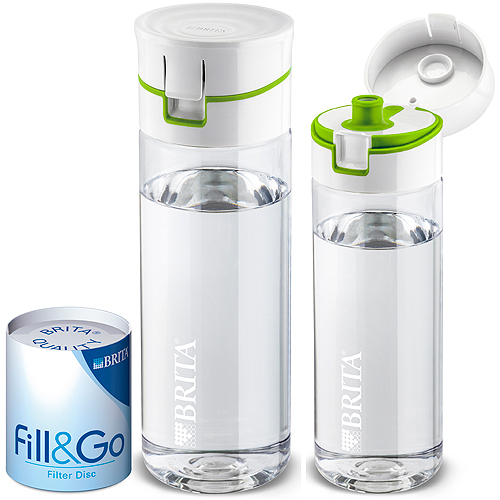 This handy water bottle features a unique filter disk system, which is much smaller and simpler than the standard large-size Brita filters. You simply slot the disk into place inside the lid of the bottle, then using either the supplied straw or by simply lifting and sucking, you draw the water through the disk, which filters the water. The taste is remarkably similar to normal Brita filtered water, and it ensured that we drank enough of the glorious wet stuff while being active erecting (tee hee) our tents. It also meant we had a regular supply of filtered water for use in brewing out beloved coffee in the aforementioned Cafflano, so for both water and coffee fans on the go this is a must. The thing about camping outside is that once the sun drops below the horizon, you can't just reach for a light switch to see what you're doing. To that end we wanted a small yet powerful lamp that we could attach to anything and at any time. The Coleman Magnetic LED Tent light is a pocket-sized lantern that features a directional LED light and also a handy magnetic fastener. You can either choose to hang it from the top of your tent in the conventional way or, by removing the magnetic plate on the back, attach it anywhere you like, inside or out. 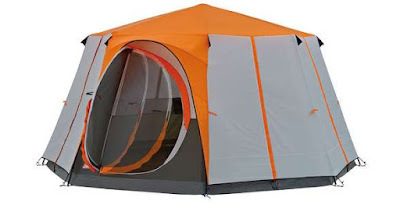 We found it was especially useful in the Coleman Cortes Octagon 8 tent, which features a double layer construction. We simply reached inside the gap between the layers to attach the magnetic plate, and the light solidly and safely hung there for the duration of our trip. As the light itself can twist and pivot, this meant we could angle the direction of illumination onto a specific area inside the tent (such as our wellies at night time, should we need to nip out for a wee), and out of your sleeping kids' eyes. It also runs on three AAA batteries which are quick and easy to replace, and can cycle through constant, flashing, and orange lights. Being the chaps we are, there was no way we were heading out into nature without some mobile power – after all, how the hell are we expected to check Twitter once our smartphone batteries run dry? Although we've tested many portable power packs in our time, we've never encountered one with quite so much bite as the Cobra JumPack. This bloody thing can jump start a car! In fact it even ships with jump cables, meaning it is as easy as whipping it from your glove box, connecting it up, and hitting the ignition. However, for those more concerned with their phone than their Fiat, it also features a USB-out port to charge mobile gadgets... several damn times over. The 7500 mAh battery can provide several charges to standard devices like phones, tablets, and cameras, as well as to the built-in flash light. That light, as well as being handy around the camp-site, can also be set to strobe or to flash Morse code for S.O.S. should you end up in a pickle. This is a serious bit of kit that kept us tweeting all weekend long. And if you thought the Cobra charger was overkill, wait till you see this one. 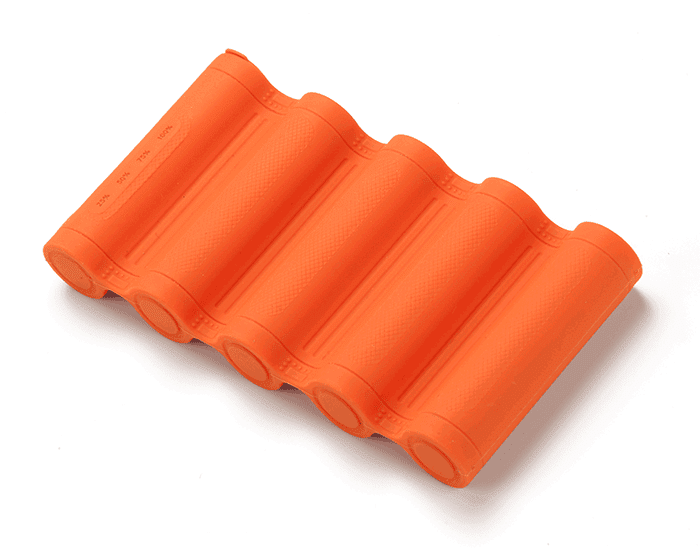 The Ventura Portable Power PB60 may lack the unique features of the previous device, but this waterproof, flexible, and down-right curious looking gadget packs a whopping 10,400 mAh battery inside those bendy orange bumps. Able to bend, flex, and pack up small and tight, this effort from Ventura provided a Samsung Galaxy Note 3 (not a small phone at all) four complete charges before giving up the ghost. Four! The included USB cable matches the orange rubber aesthetic, and thanks to a magnet, the PB60 coils up and stays coiled up in a glorious fist of power. We've never noticed before how useful a portable power pack that could flex to fit in differently shaped pockets and spaces could be. Even when not out camping, this is massively handy and can be kept in your day pack and forgotten about – even after you've used it to charge up your gadgets. Hats off here, boys! Keeping clean and safe is important while out camping, especially if you have children in tow. NatraSan was a product that caught out eye, as it seemed to be so much more than a sanitiser. As well as killing 99.999% of known germs, this stuff can also be used on wounds and grazes. It can also, incredibly, be ingested, and in fact one use for NatraSan is as an antibacterial mouthwash! Seriously, it doesn't taste too bad at all. 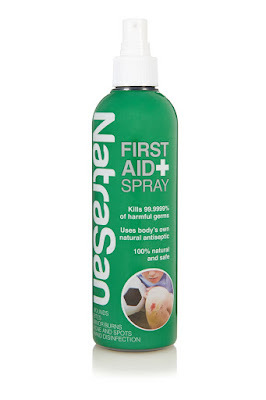 First aid kits, even those with just a few paracetamol tablets and plasters, are always essential on camping trips, and NatraSan seems to be something of a wonder substance. We used it as both a sanitiser on our hands, and to treat a minor cut that blighted the foot of one of the crew. If hygiene s a big concern for you and your brood while roughing it, check it out. 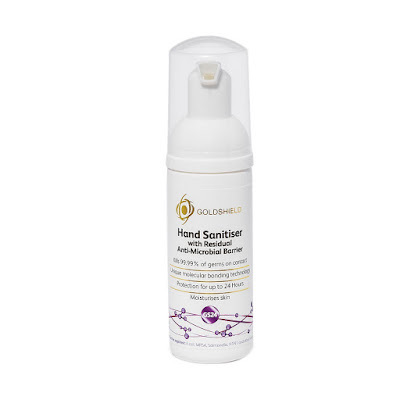 You might not be able to knock this stuff back like a drunken pirate, but the Goldshield Hand Sanitiser was definitely worth a look due to how long the substance is effective. After just one application the sanitiser remains on your hands for up to 24 hours, continuing to protect you long after you've 'pumped'. It is also unique in that it does that contain any alcohol, so your tent won't stink like a brewery after you've used it. 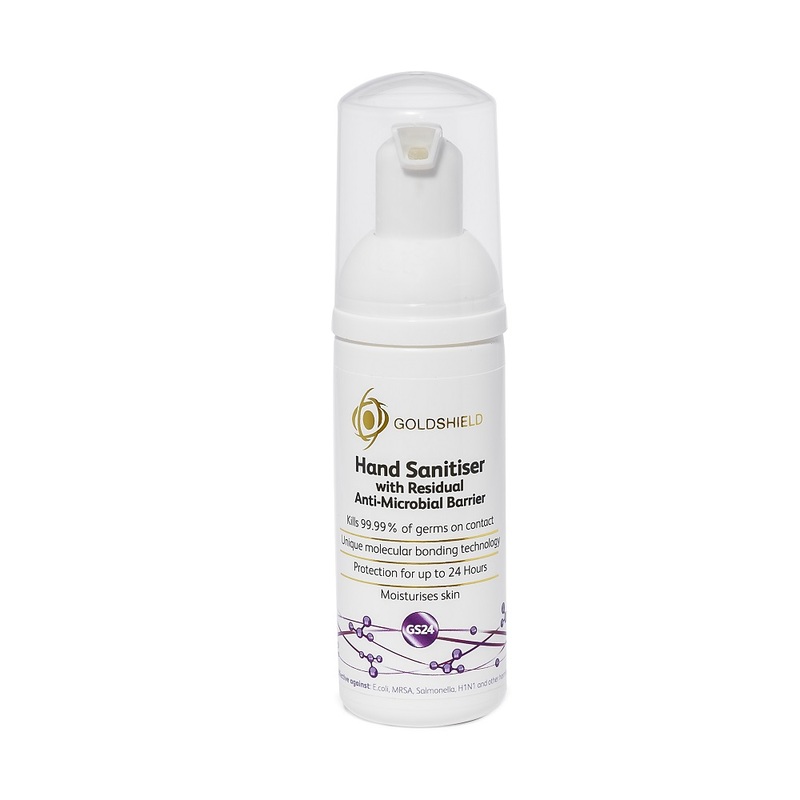 Crucially for camping (and general fair-weather fun) the Goldshield Hand Sanitiser is waterproof, meaning that even if your kids are mucking about on the wet ground, lobbing water balloons at each other, or taking a swim in the lake, you can rest assured that they won't be bringing back copious amounts of germs with them. Because nobody wants to get sick while camping. 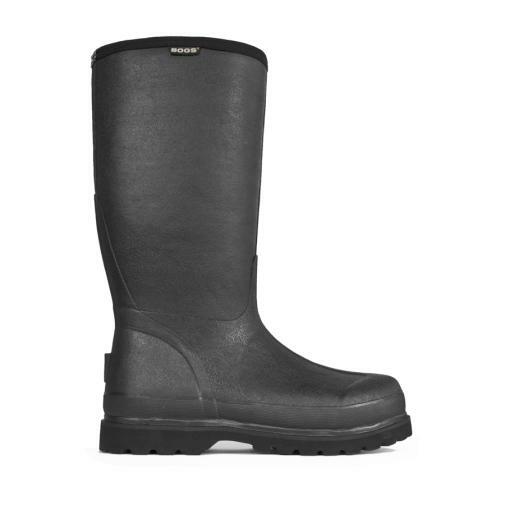 No outdoors adventure in Britain would be complete without a solid pair of wellies. We've reviewed Bogs in the past and always loved their looks, comfort, and rigidity. The Men's Rancher Lite are pretty much the signature Bogs pair for blokes, with a no-nonsense style and colouring. Despite quite good weather on all days we were camping, we still found use for them almost every day, and gosh-darn if they aren't comfy. Bogs always seem to give their boots a nice wide construction, meaning that despite ordering your exact shoe size, you might find them a tad roomy. This is quickly and comfortably corrected by the addition of a nice thick pair of socks, as surely all wellies, no matter what their make or brand, demand some 'big socks' to go inside them. Resilient, waterproof (needless to say), and tough, these are the best wellies you'll ever own.